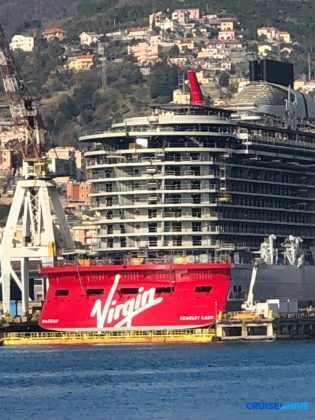 There is much anticipation for the first ever Virgin Voyages cruise ships that will be named Scarlet Lady. 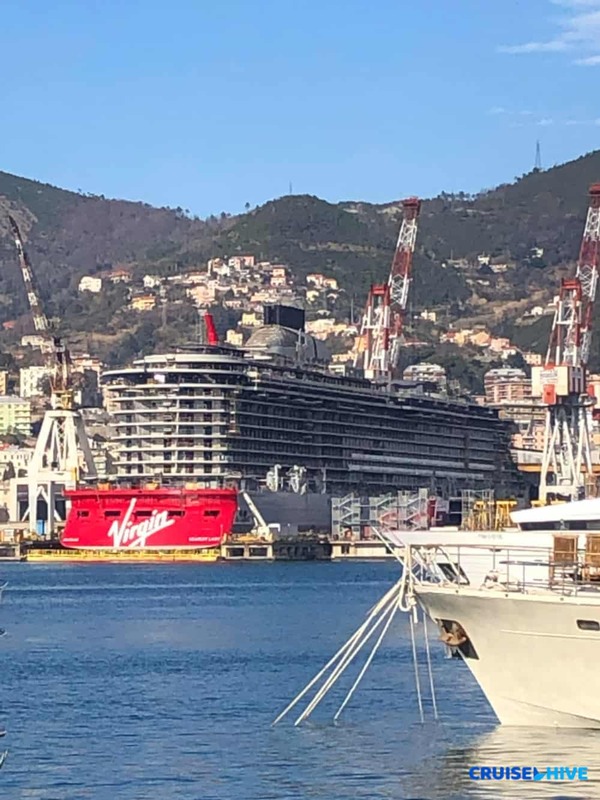 We’ve managed to get some exclusive photos of the ship while under construction in Italy. 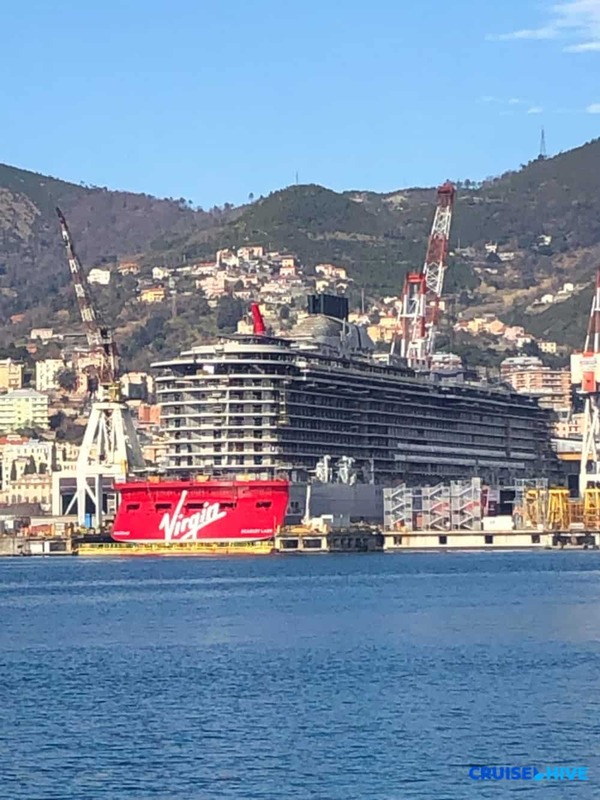 Virgin Voyages has released some stunning photos of the upcoming cruise over the months along with shiny new renderings. What we’ve got for readers today are some raw photos of the exterior of the vessel from afar. It’s a nice insight into how the vessel looks as a whole and how large she is compared to the buildings around her. Do click here to compare from the last batch of construction photos we posted on Cruise Hive. The cruise line is gradually releasing new details about the ship and each month we’re learning something new. The most recent was details on the RockStar Suites which you can read about here. 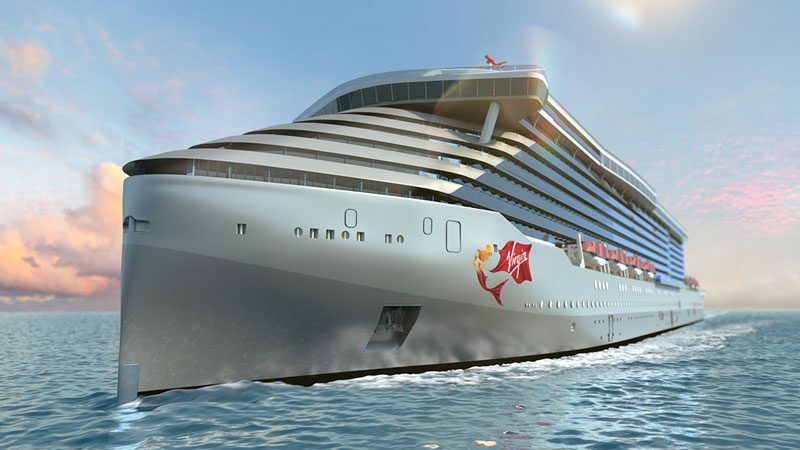 Scarlet Lady will arrive in 2020 and will begin her regular service sailing Caribbean cruises from PortMiami, Florida. Some of the sailings will also feature extended stays in Havana, Cuba which will be really exciting to see. 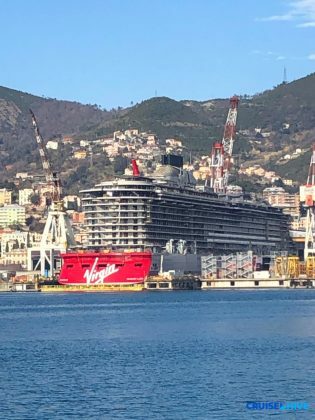 She will be 110,000 gross tons with a guest capacity of 2,700 and 1,150 crew members. This will be an adults-only vessel and Virgin Voyages is changing the way people cruise by ditching traditional dining room style dining and introducing new onboard experiences. 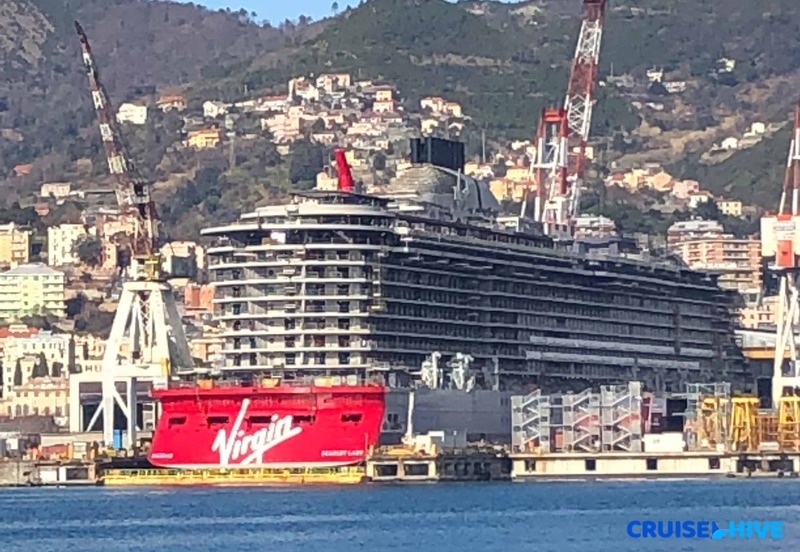 Get ready for a lot more news from the Fort Lauderdale based cruise line in the coming years as another three Virgin cruise ships are on order already and arriving in 2021, 2022 and 2023.